Soybean based fermented foods are known to be highly nutritive, not just because it contains high protein content but also due to presence of polyphenols. Various microorganisms involved during the fermentation process have proven to play active role in the enhancement of the nutritional value as well as increase in phytochemicals in the product. Akhuni/Axone is a popular soybean product of Nagaland, India. It forms an integral part of the diet and is used as a condiment during preparation of various dishes in the Naga kitchen. This study describes the nutritional value, the antioxidant activity and the presence of polyphenols of Akhuni/Axone, which increase significantly in composition between the soybean seeds and the fermented product. The molecular identification of the microorganisms present in Akhuni/Axone product is also reported in this paper. Department of Botany, Nagaland University, Lumami 798627, Nagaland, India. Samruan, W., Oonsivlai, A., Oonsivilai, R. 2012. Soybean and fermented soybean extract antioxidant activities. Intl Scholarly Sci Res Innovation, 6(2):134-1137. Yang, J., Mau, J., Ko, P., Huang, L. 2000. Antioxidant properties of fermented soybean broth. Food Chem., 71:249-254. Shin, D., Jeong, D. 2015. Korean traditional fermented soybean products: Jang. J. Ethnic Foods, 2:2-7. Tamang, J.P. 2015. Naturally fermented ethnic soybean foods of India. J. Ethnic Foods, 2:8-17. Thokchom, S., and Joshi, S.R. 2015. Physicochemical Analysis of Ethnically Fermented Soybean Products of North-East India and Molecular Characterization of Associated Lactic Acid Bacteria. Proc. Natl. Acad. Sci. India (Sect B Biol Sci), 85(2):527-533. Sohliya, I., Joshi, S.R., Bhagobaty, R.K., Kumar, R. 2009. Tungrymbai-A traditional fermented soybean food of the ethnic tribes of Meghalaya. Indian J. Trad. Knowledge, 8(4):559-561. Singh, T.A., Devi, K.R., Ahmed, G., Jeyarama, K. 2014. Microbial and endogenous origin of fibrinolytic activity in traditional fermented foods of Northeast India. Food Res. Intl., 55:356–362. Lowry, O.H., Rosebrough, N.J., Farr, A.L., and Randall, R.J. 1951. Protein measurement with the Folin Phenol reagent. J. Biol. Chem. 193:265-275. Miller, G.L. 1959. Use of Dinitro alicyclic acid reagent for determination of reducing sugar. Analytical Chem., 31(3):426-428. Maynard, A.J. 1970. Methods in food analysis. Academic Press New York, London 176. Aoshima, H., Tsunoue, H., Koda, H., Kiso, Y. 2004. Aging of Whiskey Increases 1,1-Diphenyl-2-picrylhydrazyl Radical Scavenging Activity. J. Agricult. Food Chem., 52:5240-5244. Singleton, V.L., Rossi, J.A. 1965. Colorimetry of total phenolics with phosphomolybdic-phosphotungstic acid reagents. Ame. J. Enology Viticul., 16:144-158. Sahreen, S., Khan, M., Khan, R.A. 2010. Evaluation of antioxidant activities of various solvent extracts of Carisa apace fruits. Food Chem., 122:1205-1211. Moore, E., Arnscheidt, A., Kruger, A., Strompl, C., Mau, M. 2004. Simplified protocols for the preparation of genomic DNA from bacterial cultures. Mol Microbial Ecol Manual, Second Edition 1.01:3–18. Lechner, S., Mayr, I.R., Francis, K.P., Pruo, B.M., Kaplan, T., WieOner-Gunkel, E., Gordon, S.A., Stewart, B., Scherer, S. 1998. Bacillus weihenstephanensis sp. nov. is a new psychrotolerant species of the Bacillus cereus group. Intl. J. System Bacteriol., 48:1373-1382. Mukherjee, R., Chakraborty, R., Dutta, A. 2016. Role of Fermentation in Improving Quality of Soybean Meal-A Review. Asian Australis J. Ani. Sci., 29(11):1523-1529. Amadou, I., Yong-Hui, S., Sun, J. Gou-Wei, L. 2009. Fermented Soybean Products: Some methods, Antioxidant Compound Extraction and their Scavenging Activity. Asian J. Biochem., 4(3):68-76. Chonkeeree, A., Chaowarat, M., Chumchuere, S. 2013. Antioxidant activity and total phenolic content of dried fermented-soybean products fermented with Bacillus subtilis and Lab: potential for functional food application. In: Proce 4th International Conference on Biology, Environment and Chemistry, Singapore, 58:16-21. Moktan, B., Saha, J., Sarkar, P.K. 2008. Antioxidant activities of soybean as affected by Bacillus-fermentation to kinema. Food Res. Intl., 41:586-593. Kim, N.Y., Song, E.J., Kwon, D.Y., Kim, H.P., Heo, M.Y. 2008. Antioxidant and antigenotoxic activities of Korean fermented soybean. Food Chem. Toxicol., 46:1184-1189. Shon, M., Lee, J., Choi, J., Choi, S., Nam, S., Seo, K., Lee, S., Sung, N., Park, S. 2007. Antioxidant and free radical scavenging activity of methanol extract of chungkukjang. J. Food Compos. Analysis, 20:113-118. Tamang, J.P. 2003. Native microorganisms in the fermentation of kinema. Indian J Microbiol., 43(2):127-130. Jeyaram, K., Singh, W.M., Premarani, T., Devi, A.R., Chanu, K.S., Talukdar, N.C., Singh, M.R. 2008. 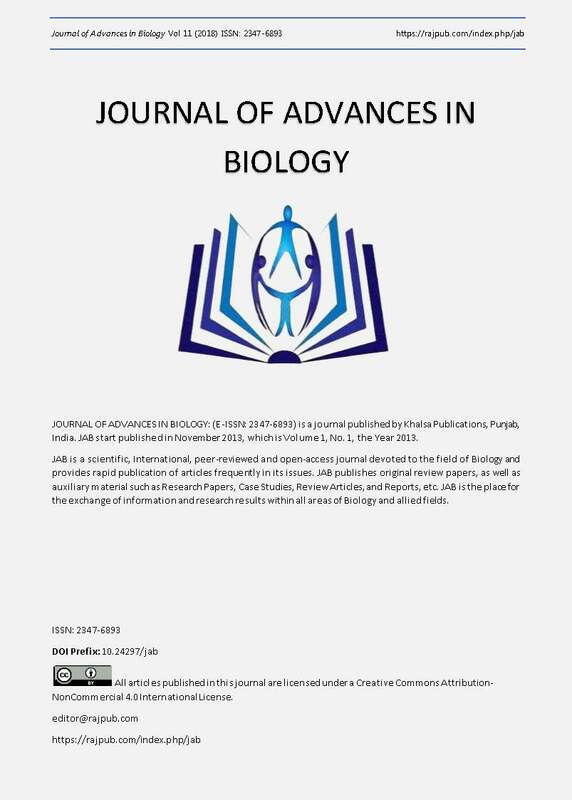 Molecular identification of dominant microflora associated with ‘Hawaijar’- A traditional fermented soybean (Glycine max (L.)) food of Manipur, India. Intl. J. Food Microbiol., 122:259-268. Chettri, R., and Tamang, J.P. 2015. Bacillus species isolated from tungrymbai and bekang, naturally fermented soybean foods of India. Intl. J. Food Microbiol., 197:72-76. Sarkar, P.K., Tamang, J.P., Cook, P.E., Owens, J.D. 1994. Kinema- a traditional soybean fermented food: proximate composition and microflora. Food Microbiol., 11:47-55. Thokchom, S., Joshi, S.R. 2012, Microbial and chemical changes during preparation in the traditionally fermented soybean product Tungrymbai of ethnic tribes of Meghalaya, Indian J. Trad. Knowledge, 11(1):139-142. Sarkar, P.K., Cook, P.E., Owens, J.D. 1993. Bacillus fermentation of soybeans. World J. Microbiol. Biotechnol. 9(3):295-299. Chukeatirote, E. 2015. Thua nao: Thai fermented soybean. J. Ethnic Foods, 2:15-118. Kim, Y., Cho, J.Y., Kuk, J.H., Moon, J.H., Cho, J.I., Kim, Y.C., Park, K.H. 2004. Identification and antimicrobial activity of phenylacetic acid produced by Bacillus licheniformis isolated from fermented soybean, chungkook-jang. Curr. Microbiol., 48:312-317. Baek, J.G., Shim, S.M., Kwon, D.Y., Choi, H. K., Lee, C.H., Kim, Y.S. 2010. Metabolite profiling of Cheonggukjang, a fermented soybean paste, inoculated with various Bacillus strains during fermentation. Biosci. Biotechnol. Biochem., 74(9):1860-1868.